This simple and quick animal hut is easy to build with no wasted wood and is versatile for use with other animals as well. 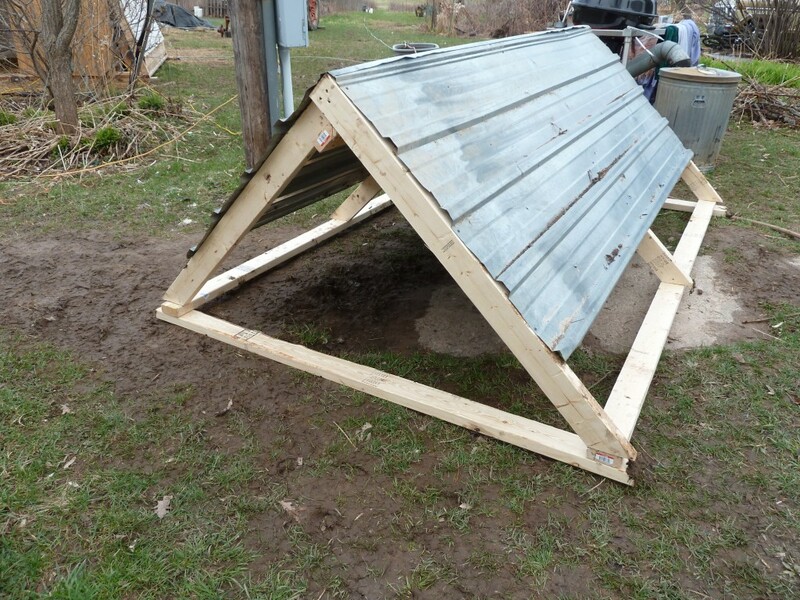 After perusing all the designs out there for pig huts, I realized I wanted something that was easier to build, using 2x4s and no plywood if possible. This shelter has worked well for raising two and three pigs at a time. 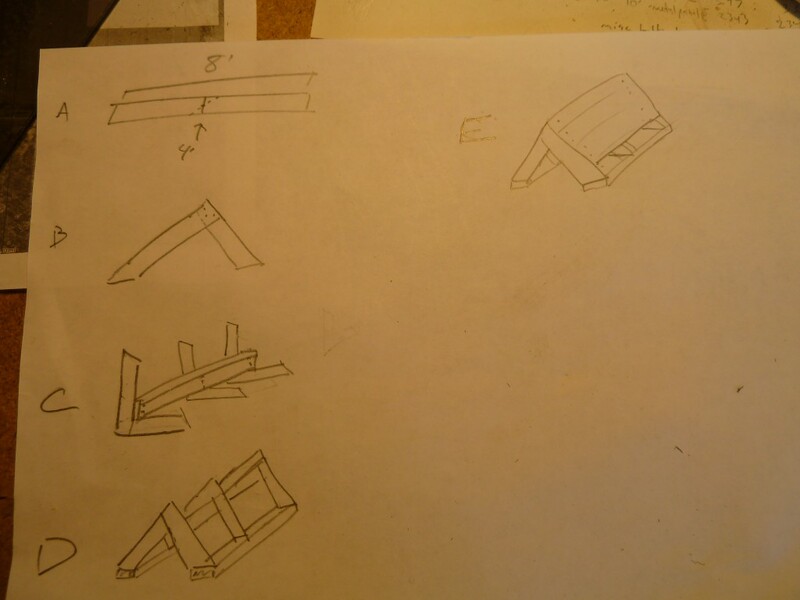 A.Take 3 of the 8′ long 2x4s and mark the 4′. find the middle of that mark, and bisect the mark at a 45 degree angle. Cut these 2x4s with a saw. You’re almost done! B. Take the uncut ends and overlap and join them with 3 to 4 screws. C Put them all up on their sides and lay an 8′ 2×4 on the corner and attach with 3 or 4 screws. D. Attach the 2 8 foot long 2x4s on the bottom of the of each side. I forgot to add it in the sketch but you can see in the picture that you then add the two 6′ on the bottom of both openings. E Then add one metal panel, overlap one rib over the top and screw on down the sides. Repeat with the other panel on the other side. So far our pigs have not destroyed this structure and we have had two groups of over 300 pound pigs, so it is a strong structure. The one thing I would do differently is to use a 10′ long 2×4 for the top brace so as to have two handles to move the thing. One person can drag this structure and two people can easily lift and move it. Hope this helps!